The visitors will also get an opportunity to witness Ramlila (dramatic folk re-enactment of the life of Lord Rama) during the festival. BHUBANESWAR: The pandal hoppers this Puja are set to get a glimpse of monuments from different parts of the country and world with several committees putting up majestic structures with the theme to welcome Goddess Durga. Nayapalli Durga Puja Samiti has set up a puja pandal replicating Italy's Altare della Patria. It is a monument built in honour of Victor Emmanuel, the first king of a unified Italy, located in Rome. The pandal of 120 feet wide, 120 feet long and 65 feet high will be a marriage of east and west as the samiti members have planned to showcase various statues depicting the epic legendary narrative of Kurukshetra War between Kauravas and Pandavas. Talking about the idea for building a replica of the monument, samiti members said not many people get a chance to visit a foreign countries and the pandals give them a chance to visualise the original one by visiting our pandal. While a Kolkata-based artist Shakti has given shape to the Goddess idol which is decorated with a silver crown, the entire medha (backdrop) has been put together with brass. The visitors can also enjoy the Meena Bazaar and taste various items at food kiosks set up on the sidelines of the Puja besides the joy rides. The visitors will also get an opportunity to witness Ramlila (dramatic folk re-enactment of the life of Lord Rama) during the festival. The samiti has also planned religious programmes like bhajan samaroh which will be organised on Shasthi and Ashtami, melody on Saptami and Navami. For prasad, the devotees offer dahi pakhala and khichdi prasad on Ashtami and rice, dalma and tomato khatta on other days. The celebrations will end with Ravan Podi on Vijayadashami organised on the opposite side of the puja pandal. On security front, 30 CCTV cameras will be installed to keep an eye on the anti-social elements. 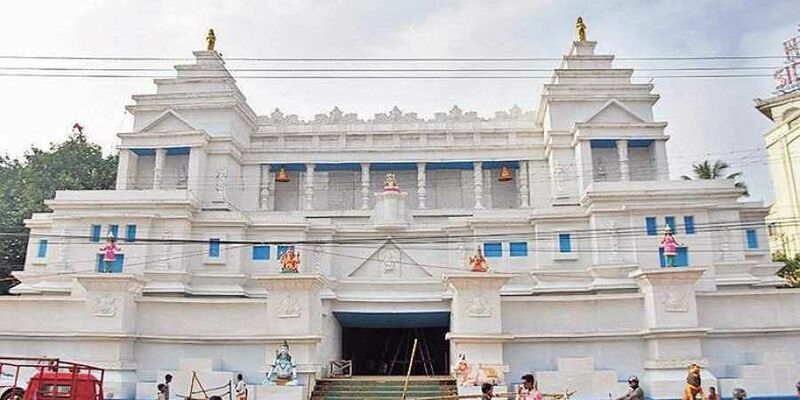 "About 250 volunteers, including 85 women, will be deployed for smooth flow of visitors and traffic during the festival," Nayapalli Durga Puja Samiti vice-president Chitrasen Behera said.